Keep On Believin' CD features these songs: Anytime Anywhere, Keep On Believin', Gone To Kentucky, LongShot Girl Part 2, Make Me Feel Like A Woman, A Place Called Love, Cheating On The Family, I Know What You?re Thinkin', Fearless, Shine On, What We Really Want, Fastest Healin' Broken Heart In Town and Texas Heartache. A must for any country music fan! 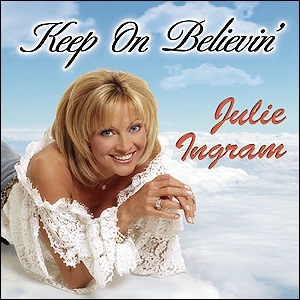 Julie Ingram's Endurance CD Album.